Everybody knows the story already. 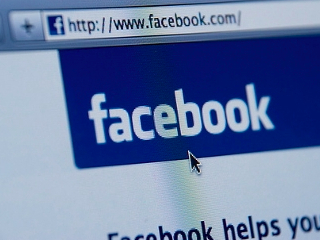 First, Facebook upgrades the way privacy settings work. Then tens of thousands of users wave their angry fists in revolt by joining a “Petition Facebook to go back to the old settings” group. A few weeks pass and, finally, life goes on. Expect the story to be repeated many times over in the next few weeks, as Facebook rolls out a series of tests that change the way privacy and sharing work on the social networking site. The current timetable sets product finalization and release to all users in just three weeks. As he described at length in a blog post yesterday, Facebook’s chief privacy officer Chris Kelly sums up the upcoming changes in terms of Control, Simplicity, and Connection. Under the headings of Connection and Simplicity, Kelly describes that all users will be asked sometime in the near future to identify their profile as either “Open” (accessible to the public by default) or “Limited” (only open to friends). Beyond that, the once haphazardly located privacy settings for all the different kinds of sharing will now be standardized so that users can quickly and easily set different privacy levels for different content. The options introduced under the Control heading, however, embody the core of all the new changes. Facebook has long sought to grant the user the ability to control their privacy settings for each individual post, photo, link, or any other content shared on the site. At the same time, the social networking heavyweight wants to maintain its role as a key figure on the Internet for sharing ideas and content openly. That’s why the biggest change of the day is Facebook’s decision to allow users to identify the privacy setting for each and every post for any kind of content. Though it may seem a little daunting to be required to choose this or that privacy setting every time a post is made on the site, in reality, it is refreshing to see a growing company continuing to grant so much power and freedom of choice to its users. Inevitably, the war cries will come out in full force declaring the new Facebook somehow weaker in terms of its privacy settings. But ultimately, these new changes reinforce what has always been the case: that how private you want to make your life and your content is entirely up to you.